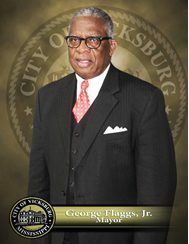 The Honorable George Flaggs, Jr. is in his second term as mayor of the City of Vicksburg, MS. He first took the oath of office on June 30, 2013. In a six person race, Mayor Flaggs took 51.11% of the vote to win the Democratic Primary. One month later, Mayor Flaggs won the general election with 72% of the vote. Four years later, in the Democratic primary, he won with nearly 70% of the vote. Then, on June 6, 2017, George Flaggs defeated two challengers by garnering 79% of the vote to win re-election as Mayor of the City of Vicksburg for a second term. Mayor Flaggs received an Associate of Arts Degree in Industrial Technology from Hinds Community College in 1981. He later received a Bachelor of Science Degree in Industrial Technology from Jackson State University in 1984. He was a member of the Mississippi House of Representatives, elected 1988. He served as Chair of the Corrections Committee and served on several committees including, Appropriations, Banking and Financial Services, Constitution, Legislative Budget Committee, Public Health and Human Services and Rules. Mayor Flaggs is affiliated with Wisemen Toastmasters and Optimist Clubs. He is a former member of the Planning Commission and Zoning Board of Appeals, Vicksburg, Mississippi. Mayor Flaggs was born March 20, 1953, in Edwards, Mississippi. He is married to Valencia Renee. They have three children: Emmarie Genean, Brittany Anquinette, and Elliott George. The mayor also has four grandchildren: Nicholas George Anderson, Stephen Anderson Addison Anderson, and Lianne Marie Flaggs. Mayor Flaggs is of the Baptist faith. In 2013, the mayor received The Network Distinguished Service & Leadership Award, The AT&T Business Advocate Award, and The Charles L. Young, Sr. Memorial Award – Mississippi Action for Progress. Also in 2013, Mayor Flaggs was the Grand Marshall for the Dr. Martin Luther King, Jr. Parade and the Christmas Parade of Lights, both in the City of Vicksburg, as well as the 2014 Dr. Martin Luther King, Jr. Parade Celebration in the City of Jackson, MS. Also in 2014, Mayor Flaggs was appointed to the Governor’s Council of Mayors by Mississippi Governor Phil Bryant, and was selected by the readers of the Vicksburg Post newspaper as the 2014 Best Elected Public Official. In 2015, Mayor Flaggs has been awarded The Reverend Henry L. Mayfield Community Service Award and the Magnolia Bar Association Harriet Tubman Award. 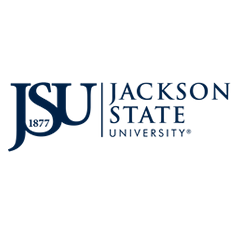 Also in 2015, Mayor Flaggs was appointed a board member to the Willard Tyler, Sr. School of the Performing Arts; the Mississippi Arts and Entertainment Center; and the Jackson State University Institute of Government’s Advisory Board. He was also named by the Delta Business Journal as one of their 2015 Top Minorities. In 2016, Mayor Flaggs was selected as a winner of the MS Top 50 Most Influential award. In 2017, Mayor Flaggs has been appointed as a member of the Board of Directors to the Hinds Community College Foundation for a 3-year term beginning in January 2018.